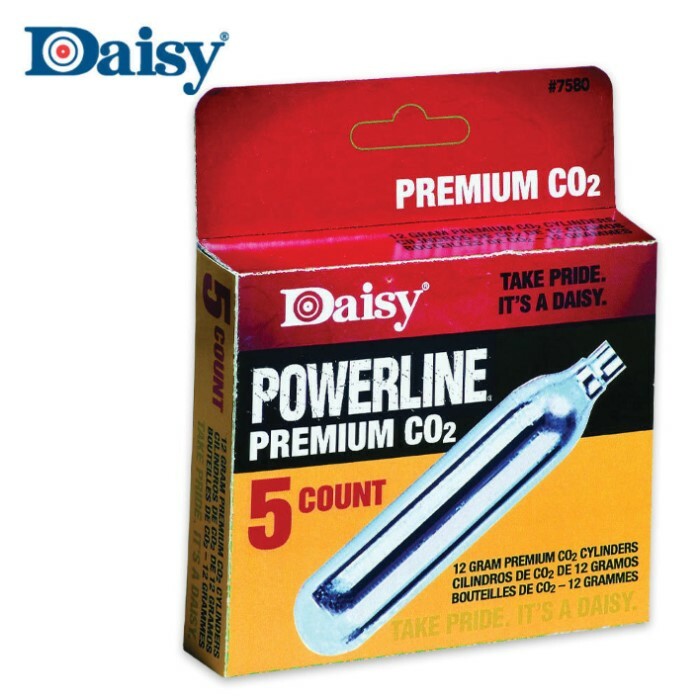 Daisy 5 Count CO2 Cylinders | BUDK.com - Knives & Swords At The Lowest Prices! Save money and time with this five-count box of Daisy Powerline Premium C02 cartridges. These premium 12-gram cylinders are for use with the popular Daisy BB gun lineup.